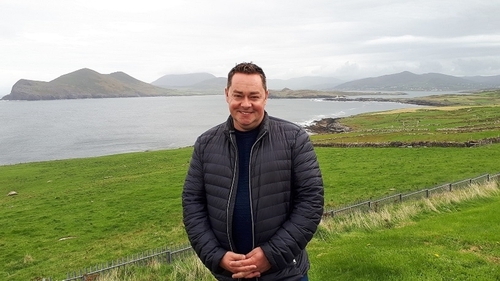 Neven Maguire, our favourite Cavan chef has been combing the coast for Ireland's best seafood on the latest installment of his Food Trails series. So far he's sampled the very best of Mayo, Cork, Donegal and Sligo, learning how artisanal practices meld with traditional fishing to create a cuisine that is both familiar and irresistibly modern. This week, Neven is in magnificent Kerry, where his travels first brings him to Valentia Island, the picturesque town at one of Ireland's most westernly points. He drops by the Irish Coast Guard station where he meets Divisional Controller John Draper and learns how coast guards stay strong at sea, and the vital role food plays in that. Heading to Renard Point, Neven then tours Kerry Fish, led by Liam Quilan whose family established their fishing business in 1963. In the years since, the business has bloomed into a veritable fish empire, including a chain of fishmongers, seafood bars, fish and chip shops and an organic salmon smokery, which ships the ruby red fish around the world. Just a short walk from Kerry Fish is O'Neill's the Point Bar and Restaurant, where Head Chef EJ O'Neill lends Ireland's premier seafood a Spanish twist. EJ even shares a recipe taught to his grandfather by Spanish trawlermen, Hake A La Romana. Nipping over to Waterville, Neven visits the Sea Synergy Centre, which works to promote Marine Awareness and Education. Marine Biologist Lucy Hunt brings him rock-pooling, showing him some of the untouched and wild beauty of Kerry and finding some of the extraordinary marine creatures that call the Atlantic beach home. Finally, Neven calls in to the Smuggler’s Inn in Waterville where Head Chef Henry Hunt shows him how to cook the perfect Black Sole including some essential tips. Watch Neven's Irish Seafood Trails on RTÉ One tonight, February 6th, at 8:30pm.